When I began to study chado, the Japanese “way” of tea, this left-handed, Jewish American woman wondered whether there was a hidden agenda or symbolic meaning in the movements of the utensils from point a to point b … to point n. Since the ritualized presentation of chanoyu—literally preparing hot water for tea — flourished during the Momoyama period when the daimyos were waging war with each other, I mused: Perhaps the mizusashi (fresh water container) and kama, (kettle) stood for the castles of feudal lords, and the many codified arrangements of other utensils referred to battle strategies, much like the Xs and Os of a football coach outlining a play. Or maybe connecting the utensils’ footprints on the tatami mat in a particular order revealed a secret kanji code. It’s not far fetched; supposedly the siting of Japan’s colonial headquarters in relationship to city gates and palaces branded the map of Seoul with the kanji for “Dai Nippon,” Big Japan, which surely would have been thought to affect the geomancy. However, I was wrong in all cases. It didn’t make “sense” in Western terms, yet, I learned, there is great “sense” to be made out of all of it. Over time as a student of a master teacher, the inherent integrity of the practice of this most Japanese of Japanese cultural complexes began to reveal itself in many more ways than just making a proper bowl of matcha, Japanese powered green tea leaf. The rigors of the lesson began to creep out of the tearoom and into the larger sphere of every day life. My senses began to incline toward jaku, (tranquility), born of harmony, purity and respect—wa, kei and sei in Japanese. Without the benefit of any capacity to read Japanese, I loosely defined the term temae, the procedure for ritualized making of tea for the guest, as to just undertake the matter at / in front of (mae) one’s hand (te). It seemed that I had inadvertently bumped into the refined “metaphoric and synaesthetic imperative” that forms the foundation of Japanese “aesthetics, ethics and epistemology”, to quote Allen S. Weiss, author of Zen Landscapes: Japanese Gardens and Ceramics. Thus, it was with great pleasure that I had the opportunity to read Professor Weiss’ exciting new book, one that is just as much a significant contribution to the growing English-language library of volumes about the influence of Zen-steeped chado on the Japanese mindscape as it is about the creations of ceramic objects and fertile, well-cultivated verdant spaces—i.e. the “land”scapes promised in the title. He, too, experienced bewilderment about the “sense” made by Japanese aesthetics until further immersion. 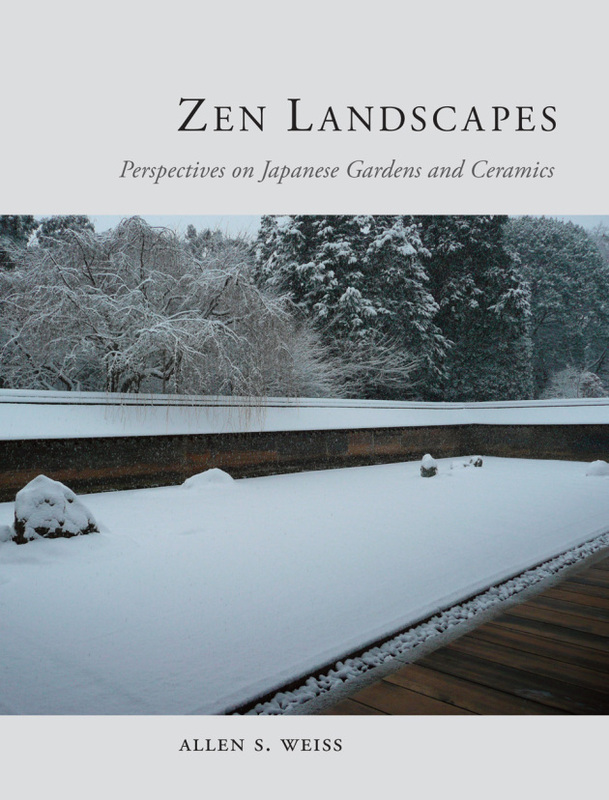 The reason Weiss wrote this book is that, upon finally visiting Kyoto’s 15th-century Ryoanji karesansui – literally dry /mountain / water dry stone garden, he felt that everything he had read about it paled profoundly in comparison to being there. In fact, Weiss, an acknowledged expert in the gardens of Versailles, reframed his assumptions about landscape in general. “I immediately suspected that my disorientation went far beyond mere culture shock,” he shares. The more he explored other areas of Japanese culture the more he realized that such gardens and other art forms—especially tea ceremony, ceramics and kaiseki cuisine—were connected by an “ineluctable and illuminative thread,” Zen Buddhism and thus become a holistic cultural experience that is greater than the sum of the parts. 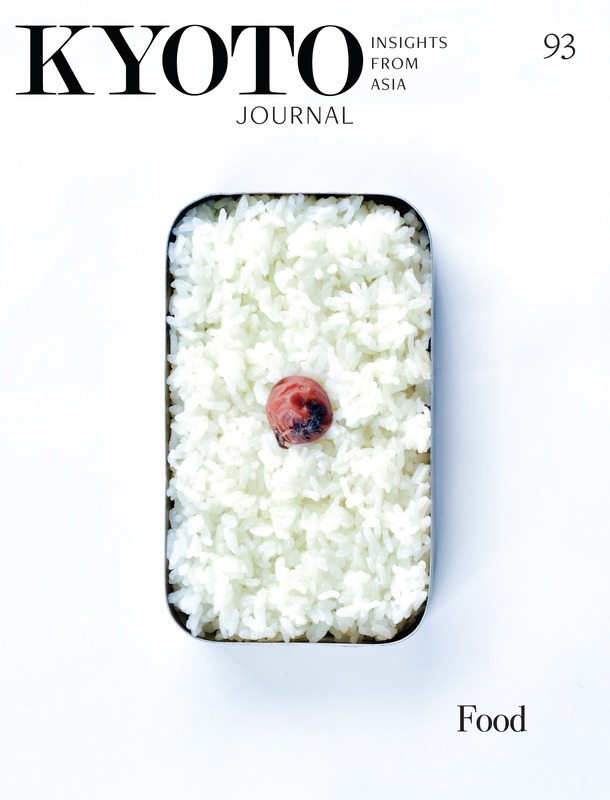 Early in his text he offers a thorough discussion of the often cited but too-often misunderstood aesthetic qualities of wabi, sabi and shibui, attributes popularized through the spread and institutionalization of chanoyu that now crop up in other art forms. “Both aesthetics and connoisseurship in Japan are informed by these complex existential and conceptual matrices,” he comments. Weiss explores both the performative and material nature of chanoyu that enables the reader to understand the point of the ritualized experience: to heighten the senses of the guest that will serve her long after she leaves the chashitsu, the rustic hut-like tea room. The guest not only takes full advantage of the host’s hospitality, she literally imbibes those ubiquitous Japanese sensibilities. Further, by drinking matcha from the roughly fashioned hand-made ceramic vessel, the guest is also in communion with the potter who crafted it. Likewise, Nobel Prize winning author Kawabata Yasunari weaves his story Thousand Cranes around a white Shino chawan, by giving it significance and utility far beyond its being used as a vessel for holding a beverage. Discussing the nexus of Japanese aesthetics on the material plane, Weiss notes Japan’s ceramic and garden arts owe their substance to the “macrocosmic five elements of the Japanese Shinto / Chinese Taoist cosmos”: fire, wood, earth, metal, water. An entire cosmos may be perceived in the colors and textures of a patch of glaze on a chawan, tea bowl or a weathered wall surrounding a garden. This illustrates the first of nine maxims of his “Manifesto for the Future of Landscape”. (See sidebar.) Even further, he observes, “… the cosmos can be compressed into the form of a small garden, the garden reduced to the disposition of food on a plate, and the plated “landscape” represented by the patterns on the plate or guinomi (ceramic sake cup).” His divertisement about kaiseki cuisine adds another hint about his diverse and extensive aesthetic range. To this end, his choice of highlighting the guinomi enables him to cite the huge diversity of effects produced from the past to today by Japan’s 100 major and over 50,000 minor kilns without being subject to the rigors of the strict chanoyu system. Weiss explores evolution of ceramics in Japan with ample examples from the venerable functional work of the Raku clan over the past 15 generations to non-functional creations by independent contemporary ceramic artists who incorporate mass production, “damaged” and found objects. He discusses how the variety of fuel used in the kilns and other site-specific characteristics and can import a “clay flavor” to a cup. Through his examples, one can see how collaboration of human and elemental nature that create “pottery landscapes,” including superficial traces of minerals and cracks that give a work its character, is also evident in the earthen walls, plantings and stone settings of Japanese gardens. While seemingly frozen in time, the karesansui gardens in fact have constantly evolved not only throughout history and as a result of the impact of the weather and other natural forces on the garden elements, but also are constantly changing as a result of the viewer’s vantage, including the disposition of the mind and the position of the body. In terms of chanoyu, the phrase is ichi go, ichi e. This one moment can never happen again. The hidden presence of objects in spatial context is also found in other aspects of Japanese culture. “The extraordinary discretion of Japanese connoisseurship demands that very few objects be visible at a given time, and that an important work of pottery will be seen but rarely,” Weiss notes and references Junichiro Tanizaki, author of the seminal essay In Praise of Shadows. Perhaps the ultimate abstraction of a Japanese garden is the Noh stage. Constructed of natural timber the stage includes four posts, reminiscent of trees, with a kagami-ita, backboard, upon which is painted an oi-matsu, pine tree. In this rarefied “garden” kami (Shinto gods / spirits) come and go, interact with each other, and remind the audience of their ubiquitous presence in the theatre in every day life. “I am convinced that especially in Japan all of the arts share a common aesthetic basis,” Weiss noted in recent correspondence with me. Through his guidance, it is possible to imagine seeing the mountain in the distance from the edge of a chawan, or from a distance cupping ones hands around the tsukubai, stone water basin emblematic of roji (teahouse gardens). I am convinced that this book, too, is a garden, a theatre, and a vessel in which one may fully explore the integrity and vitality of that which we call Japanese culture that we are lucky enough to experience. iii Todd, Lecat, op. cit.